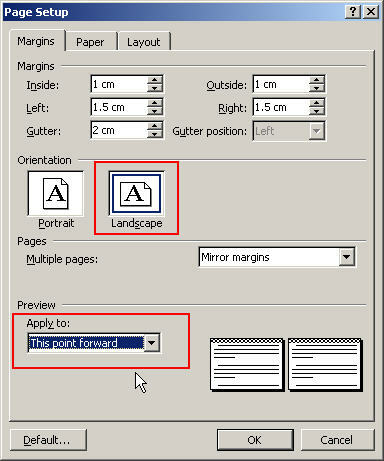 If you need the document to revert back to portrait after the landscape section, you will need to click at the end of the landscape pages and use File, Page Setup to create another portrait section again from ‘this point forward’. This entry was posted in Office software, Word. Bookmark the permalink. You Saved my life!!!!!!!! and most of my hair! Thank you for your help! Hi Tia – glad you found it useful. Thanks for the comment. Not sure what you mean by file ‘icon’ – it’s the file menu option you need. Are you saying this disappears? when i do this, it screws with the page numbers, how can i get it to stop restarting each time i switch from landscape to portrait?? I really enjoyed reading your blogpost, keep on posting such exciting articles! Thank you so much for your guidance. I was in a state of panic with my university coursework to be given in the hour and no one could help. My brother suggested i should google it and low and behold step by step instructions. Hi Hema – so glad you found the article useful, thanks very much for taking the trouble to let me know. Good luck with the course work! Thanks, saved me lots of time clicking through all of the menus trying to find the right option. Very helpful and clear – cracked the problem n a few seconds. I have the same problem as doug: it screws with the page numbers. I’m sure that on the Page number format dialog the the ‘Continue from previous section’ option is selected. It does not work. Hi Sunny – could you give a few more details – presumably from what you say the page numbering restarts from 1 at some point – is this on the landscape page or when/if you return to portrait? Also, which version of Word? The page numbering does not restart but it turns around as soon as I change the format. When I print the file (portrait) I would like to have the page numbering constant for the whole file. The numbering on the landscape pages should be on the same place with the same adjustment as in the portrait file. Is this possible in Word 2003 without “cheating”? The Landscape page will be section 2. Double click in the landscape footer and turn off ‘Link to previous’, do the same in the last page (Portrait section 3). The landscape page footer will now be separate from the other two sections. From the landscape footer choose Insert, Page numbers, then choose bottom left. Now select the page number in its frame and choose Format, Text direction and set it at 90 degrees so it will be upright when the page is rotated into its proper position. Make sure the page numbers are all set to continue from previous section. You might need to adjust positions/margins to get the positioning exact. I hope I’ve understood what you wanted and that it works – let us know! Great, that’s the answer to my problem. Thanks for letting me know it worked. I might use the answer as the basis for another article sometime. You you should change the webpage subject Portrait and landscape in one document | Beancounters’ guide to technology to more generic for your subject you write. I loved the blog post however. Regarding to page number, how can I insert the page number for landscape view same as portrait view. The position is at the bottom and center. Thanks a lot.. It was very useful, thank you very much. Thank you thank you thank you. I just could not figure this out. Tutorial was easy to follow and easy to figure out in later versions of Word. Thanks again! Simon, is there a way to do this and have the text from the portrait pages on either side of the landscapes pages “wrap around” the landscape page? For example, I am trying to write a dissertation and I need my figures to be on pages by themselves, but I want the main body text on the surrounding pages to continue in sequence, even if it’s in the middle of a paragraph. I don’t think there is any absolutely straightforward way of doing that. The closest I’ve thought of so far is to set the portrait and landscape pages up and then insert a text box at the bottom of the first portrait page and another at the top of the second portrait page. The layout of both should be set as ‘In line with text’ and with no border. You can then link one text box to the other and text will flow from the first to the second. Happy to email you an example if you’d like – which version of Word are you using? Even this posting from 2007. Still helpful for me even today. Good job…keep it up. I have successfully created a document with poprtrait pages then a landscape page and then portrait pages to finish off. However I have an issue when printing. The portrait page after the landscape page is upside down. All portrait pages after this one printa normally. Do you have any suggestions? I have googled to my hearts content 4 hours in fact and no closer to resolving the issue. I can’t say I’ve seen anything similar before. Is it the entire page that prints upside down (presumably not, as you could then just turn in the right way up after printing)? I’d be happy to look at the document to see if I can see what is happening if you were able to email it to me. I have exactly the same problem. Please let me know if you’ve resolved it! ohh thank u very much .. this doc was driving me mad in all sense… i could do in 1 minute what i was trying do to for more than 30 mins. Helped a great deal on a Monday morning. Now, I’m love struck. You saved me a serious headache and perhaps tears THANKYOU. really helpful, I’ve got an appendix table at the end of an assignment and it was driving me crazy trying to figure out how to leave the rest of the documnet as portrait, thanks!! 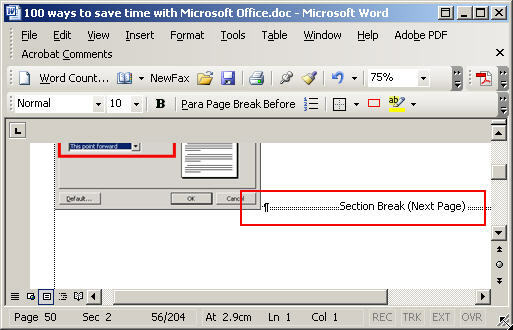 in ms word2007 , documents are printing in only lanscape but the printer preferences are in portrait . Hi Nandeesh – the Page Setup options for each section of the document will override the printer preferences – check the orientation of each part of the document. 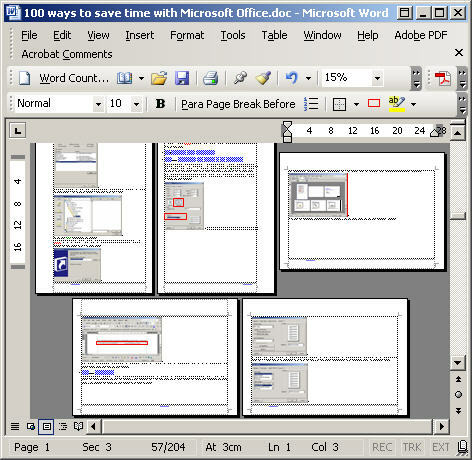 How do you then print the document (in Word 2007) with portrait pages like a book and landscape pages like a tablet. The point is to have the document in a notebook and the reader doesn’t have to move the notebook around to view landscape tables. Hi Barbara – the technique described should do exactly that. Not unless I missed something…Above, you are describing how to change the orientation of pages from portrait to landscape and back again as needed. I have already done that. I have 50 pages portrait followed by 25 pages landscape. I can view the pages back to back correctly on the screen. I can print the pages back to back as portrait and landscape. The problem is, the landscape pages print back to back with the first page of the table having the top of the table on the left side of a portriat-oriented document. The 2nd page of the table prints with the top of the page on the on the left side of a portriat-oriented document. The 3rd page is like the 1st and the 4th page is like the 2nd and so on. When the document is placed in a notebook, all the portrait pages are back to back. All the landscape pages are back to back but the notebook needs to be turned upside down and back to read each landscape page. I want the landscape pages to print with first page of the table having the top of the table on the left side (of a portriat oriented document.) The 2nd page of the table prints with the top of the page on the right side (of a portrait document). The 3rd page is like the 1st and the 4th page is like the 2nd and so on. Then the reader reads all the portrait pages as printed and only has to turn the notebook, one time, to read the landscape pages. I don’t know how to explain this any better. I have been able to have a single landscape inserted into a chapter, however, after doing this, the subsequent footnotes started afresh instead of the continuing from before the landscape page. How do I get the notes to continue from before the lone landscape page. Now I have two set of footnotes in one chapter instead of one. Thanks. Hi Saka – in the Footnote Options there are settings for whether Numbering is Continuous, Restart each section or Restart each page. These settings can be applied to the whole document (I assume you won’t want to do this as your document is broken down into chapters) or to individual sections. Try setting the numbering for the landscape/portrait page sections only to continuous. Good Luck. Hey, loved the article, was very helpful. But I found a huge problem right after doing this. I was expecting to do this AND be able to print my document using the “Double sided” printing option but the thing is it takes the new section as a separate document and will print it separately, therefore not double sided. Is there anyway to fix this? I’ve already tried saving it as a PDF document and then printing it but my computer just creates 2 diferent PDF documents, one for each section. Clever computer huh? I’m using office on a Mac. Hope you know a way around this. Thanks in advance! Hi Pedro. I’m glad the article was useful. I’m afraid I don’t have Office on a Mac so could only try it on the PC version where it seems to work fine, I can have a landscape page on one side of a piece of paper and a portrait page on the other side of the same piece of paper. 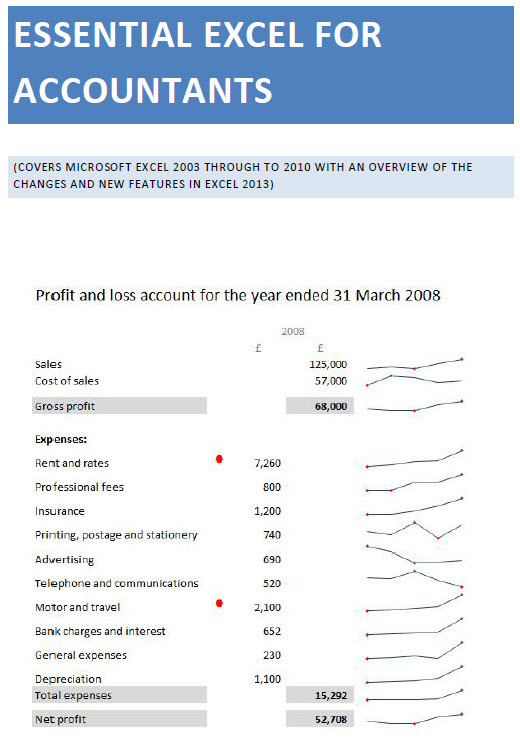 It also just created a single PDF.Anyone using Office for Mac able to help?